The frame outside is aluminium clad, with the inner being pine. 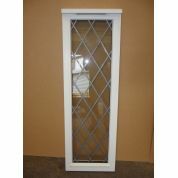 The casement is UPVC. This window has a few marks on it.